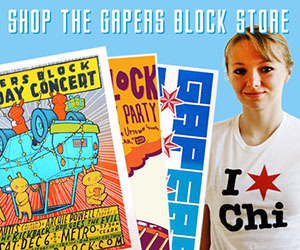 Why Does the University of Chicago Hate Labor Unions? Last week, coach Denis Savard called out his team's lackluster effort in the final game heading into the All Star Break, pushing his players to commit to the team the same way the team has committed to them. The team had a six-day break, and by all accounts some strong practices, then traveled to Colorado to begin the stretch run of the season, where they promptly laid an egg. In what may have been one of the team's worst games of the season, there was pretty much zero effort across the board in a 6-3 loss, which only looked palatable thanks to two Yanic Perrault goals in the last 5 minutes. Following another spirited practice Thursday, where recent All-Star Duncan Keith exchanged blows with leading goal scorer Patrick Sharp after some rough contact, the Hawks came out to San Jose and played a strong all-around game, but still only earned a point in a 3-2 shootout loss. The team was also outshot 40-21 by the more physical Sharks. Watching the two games, one would be hard pressed to ever think it was the same group of players Wednesday and Saturday, which reinforces exactly the problem with Chicago this season. As a team that is young and growing into their roles, they are maddeningly inconsistent on a game-by-game level. And that is exactly the reason that, barring a major run, this team's playoff hopes are all but over. The Blackhawks' fractured week was mirrored in the net by Nicolai Khabibulin, who looked as stellar Saturday against the Sharks as he did woeful Wednesday in Colorado. In the Avalanche game, three soft goals in the first period made a Hawk loss all but certain, especially given the lack of effort in front of him. Khabibulin followed that poor game with one of his better efforts in San Jose, turning away 38 shots, many of them difficult saves, to keep Chicago within striking distance and help them earn a point. The two games are fairly representative of Habby's year in net, often making spectacular saves before letting in a pedestrian, seemingly easy shot. The Jekyll and Hyde act needs to finally cease for the Hawks to make a move. Khabibulin is getting paid big money to make key saves, and while everyone is due to have a bad game or two, Habby's seem to happen more often than not lately. Other than the bad loss to Colorado, Khabibulin has seemed to respond to his recent rest, when backup Patrick Lalime ran off a four-game win streak. Last week's 1-0 loss to Columbus was due to an uninspired effort in front of Habby. However, with his last three losses, Habby is now winless in his last 10 starts dating back to Dec. 26. Something has to give for the Hawks to start earning Ws, and while it's hard to see the team benching one of their highest-paid players, Khabibulin needs to find a way to raise his game a level or Lalime needs to be given more than a cursory look in net. With back to back games this week, Lalime is slated to get the start in Edmonton tomorrow, while Khabibulin will be between the pipes Thursday in Calgary. While the Hawks earned a point in San Jose, heading into the shootout, the advantage seemed to be on Chicago's side. After Patrick Kane scored and the Sharks matched for a 1-1 tie, former Hawk great Jeremy Roenick scored in the fifth round. In response, coach Denis Savard sent out rookie defenseman Cam Barker, whose shot was denied, giving the Sharks the victory. I'll be honest, the move struck me as curious, given Barker's inexperience and the fact he's a defenseman still growing into his game. It's easy to second-guess, since he didn't connect, and there are many teams whose shootout lineups are made up of not their most talented players, just as San Jose did not send out Joe Thornton or Jonathon Cheechoo. And without knowing how individual players have done in practice, it's hard to say that Barker didn't deserve being sent out there, especially because skilled offensive prowess doesn't always translate over to the pressure of a shootout attempt. But with the team needing a victory and two points, and a number of more talented forwards on the bench, Barker needed to find a way to light the lamp. That budding rivalry I mentioned in last week's column between the Chicago Wolves and Rockford IceHogs? After last Saturday's game, it's all but boiled over into an antagonistic grudge match. The Wolves earned a 4-2 victory over Rockford at the Allstate Arena, continuing the series trend of the home team emerging victorious in all six games so far this season. After Alexandre Giroux scored the final goal with 4.3 seconds left, a skirmish broke out in front of the Wolves' bench. While the fracas featured little more than wrestling on the ice and a lot of incensed trash talk between the two benches, the blood-boiling atmosphere and increased agitation from the two teams caused the officials to run down the clock's final seconds and end the game rather than risk a brawl during the ensuing faceoff. The game had already been a chippy, physical affair — the two teams combined for 18 penalties. And with seven players and both benches receiving 10-minute misconducts during the scrum, the 154 total penalty minutes marked the highest for any game the Wolves have played this season. Focusing on the game itself, the Wolves were lead by Giroux, whose two power play markers paced the Wolves, and Andre Deveaux, whose wraparound shot that just eked past Rockford goalie Corey Crawford proved to be the game-winner. Wolves rookie netminder Ondrej Pavelec was sharp for Chicago, notching 25 saves in a game where Rockford controlled large parts of the action, including limiting the Wolves to only three shots the first period. With only three points separating the two teams, the race for the division crown figures to be a tight one in the final months of the season. And with obviously no love lost between the clubs, their next meeting Feb. 16 in Rockford figures to be an equally intense contest. After last Saturday's game against Rockford, Chicago earned their five day break this week. The team faces a full slate of games starting Friday, when they travel to Iowa to face the Stars, before returning to Rosemont for home matches against the Milwaukee Admirals and Manitoba Moose Saturday night and Sunday afternoon. Chicago leads the season series against the Stars 3-1, and have had a few offensive outbursts, including a season-high 10 goals in Iowa this December. Iowa has been inconsistent throughout the season, and a victory in Des Moines can get the Wolves off to a quick start Friday night. Forgotten in the aftermath of the Rockford game is the fact the Wolves lost their other game last week to the Admirals, 5-4. Chicago will be looking for revenge on home ice, where they are 17-6. Milwaukee has upended the Wolves three times this season, including a 4-0 shutout at the Allstate Arena Jan. 16, and the two teams often battle in tightly-contested defensive struggles, meaning the Wolves can't be caught flat-footed in the midst of the three game stretch. Sunday will be the first time the Wolves face the Moose this season, and the two teams split their games last season, when Manitoba won the North Division title. While the Moose are 17 points behind the surging Toronto Marlies in the division this season, they are still playing competitive hockey, posting a 23-19-2-2 record, and will be in the thick of the playoffs as usual. The Bulls stayed true to their maddeningly boring form this week — beating the league-worst Timberwolves at home on Wednesday, then losing to them on Thursday, failing 105-101 against the Kings on Sunday and beating the woeful Sonics 118-108 on Monday. They would have lost to the Kings by six points instead of four were it not for a heroic, meaningless layup by Kirk Hinrich. Otherwise, the team failed to score a layup in the final 4:57 of the game. Sometimes, when keeping your head down and thinking about games on a weekly basis, it's easy to lose perspective, so let's try not to. The Bulls are in the middle of an historic collapse. This is a team full of young stars who have been gradually improving for years, making great strides in win/loss, driving deeper into the playoffs, and actually scaring some major teams. Each of the team's key players has gone backwards. This season is a disaster. Ben Gordon and Joe Smith have returned, Luol Deng is still out. Deng is looking to get another MRI after this Hannah Montana Road Trip to reassess his injured left Achilles' tendon. Latest buzz around the league front offices is a spat between Bulls GM John Paxson and Memphis Grizzlies owner (and St. Charles resident) Michael Heisley. The usually collegial brotherhood took a hit when Heisley basically said Chicago was too big to be so cheap as to pass on Gasol. Paxson responded by saying, "I don't feel I need to comment on what another team's owner is saying about anything, and I also would never make any statement about how another team should conduct their business." That's translated to STFU in GM-speak. The Bulls close out their West Coast swing Wednesday in Portland, Thursday at Golden State and Saturday at Utah. Speaking of the Jazz, here's a pretty interesting history of their early days in New Orleans when their name actually meant something. That and the Lakers not playing near any lakes always had me interested in vestigal naming. Patrick O'Neil is a Chicago designer and software developer. His second Bull's championship celebration was marred by a cordon of riot police at North, Milwaukee and Damen. Daniel X. O'Neil is Chicago writer and old skool Bulls fan. See more of him here. 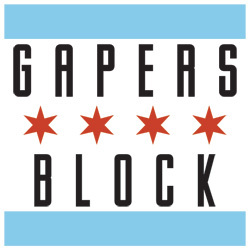 Send comments to bulls@gapersblock.com.